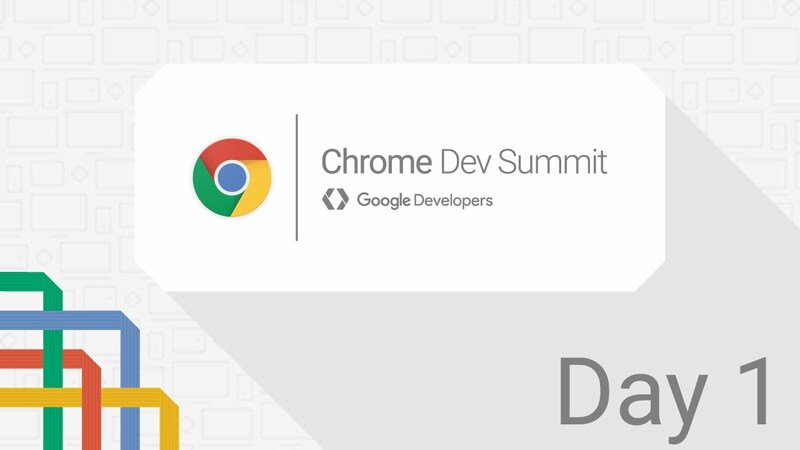 Earlier this week I attended the Chrome Developer Summit where I witnessed the best pizza to developer ratio ever, learned about cold brew coffee and more importantly Progressive Web Apps. The average mobile user uses 25 different apps per month of which 80% of the time is spent is in their top three apps. That user also accesses over 100 web sites on mobile. The number of unique visitors is nearly three times higher and growing twice as fast on mobile web sites than native apps for top companies. The simple fact is that despite the strong push towards native apps the lower friction of the web makes it a crucial part of your mobile strategy. "In a consumer mobile app, every step you make a user perform before they get value out of your app will cost you 20% of users." Suppose you interest 1000 people in your app, by the time they go through the 6 steps to get the app, only approximately 262 launch it. 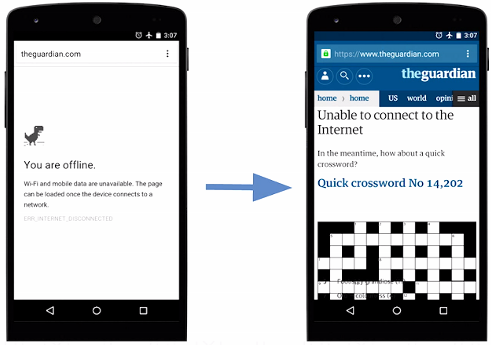 What's the advantage of a native app over a web page? Native apps offer three crucial advantages web sites traditionally could not do. Instead of showing a 404 page you can now offer functionality when not connected to the internet and silently try to reconnect in the background. 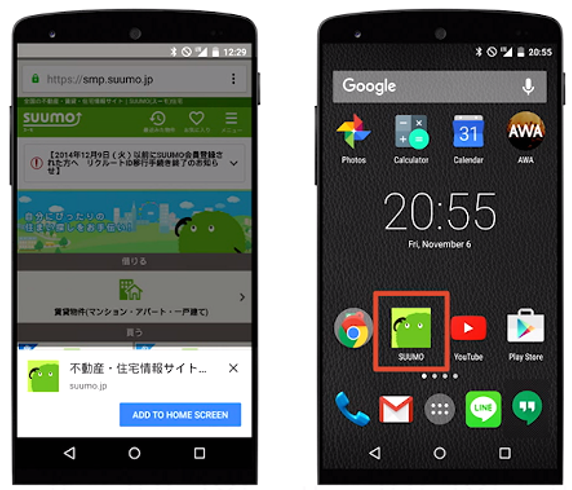 Pinning a web site to the home screen gives the presentation of a Native App to a website. Once launched the browser will show a splash screen with your icon while the page is loaded. Additionally the page can be loaded full screen or without browser UI. 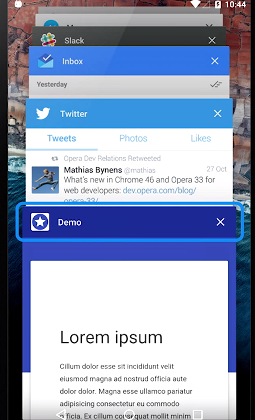 There is no distinction in UI between a normal app and your web site. 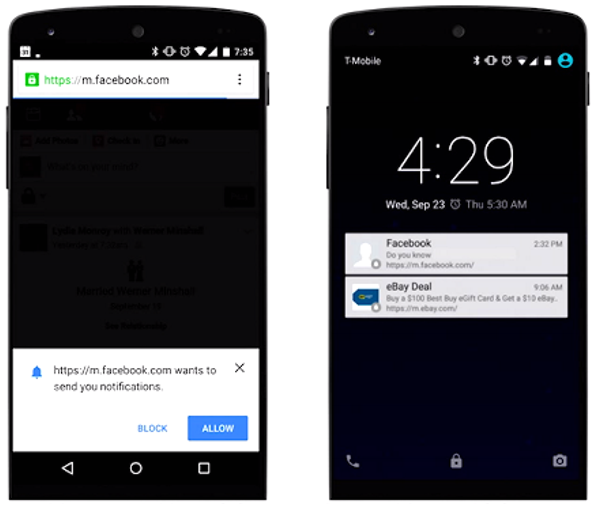 On mobile and desktop a site can prompt the user to register for Push Notifications, then without the browser or site running you can send the user push notifications and draw traffic to your site. Beyond The Rack saw a 72% increase in time spent for users visiting via push notifications, and 26% increase in average spend per visit by users arriving via a push notification. What about cross browser support? At this point you may be wondering "I can't dump money into developing for only my users on Chrome". Currently Chrome, Opera and Firefox support these features through Service Workers and Google is working on pushing for industry standardization of these technologies. 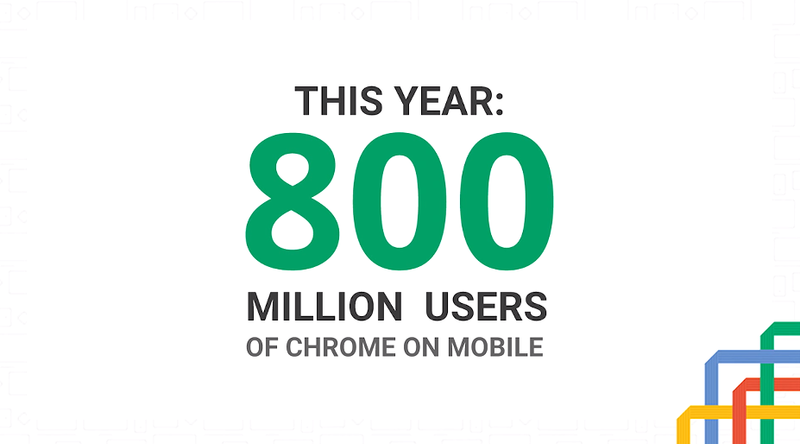 Chrome now has over 800 million users on mobile and is the first in line to grab the next billion internet users. Thus I see Progressive Web Apps as the future of delivering a low-friction experience to dedicated users.